The Australian royal commission into institutional responses to child sexual abuse is due in a couple of weeks to hold hearings involving four Salvation Army Boys’ Homes, under the control of the organization’s Eastern Territory. Dozens of other Homes will not be mentioned, so they have been covered in this blog (see previous postings). Today, there are a few more. 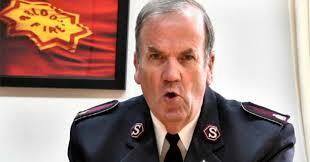 The Salvation Army, unlike the author, will appear before the hearings, and enter a submission. It is likely that minor officials of the Salvation Army will appear (as happened at the Victorian State Parliamentary enquiry last year), but not its head, James Condon (pictured above). Cardinal George Pell did not appear at the last commission hearings, on the Catholic Church’s “Towards Healing” process (see previous postings). Only the local New South Wales State head of the YMCA appeared at the YMCA hearings, and similarly for the Scouts Australia hearing. Not having the heads of organisations appear is becoming a bit of a pattern. The underlings are made to take the heat, while the bosses remain well away from the battle. Over the past 25 years, the author has heard many, many accounts of abuses at Salvation Army Boys’ Homes and Girls’ Homes, but the Salvation Army will be off the hook for several since the only type of abuse the royal commission will consider is sexual abuse – and even then only what may be considered sexual assault, rather than more indirect sexual abuses, such as voyeurism. The royal commission will not even consider sexual abuse (as assault) in the Salvation Army’s Southern Territory, which includes Tasmania, Victoria, South Australia, Western Australia states and the Northern Territory. The Tasmanian Ombudsman’s report into the Homes in Tasmania identified three Salvation Army Homes with serious problems. These were the Barrington Boys’ Home (50 claimants), Maylands Girls’ Home (23 claimants), and Elim Maternity Home (2 claimants). 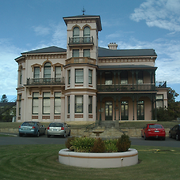 Unlike the royal commission, former Children’s Homes residents had no restrictions on entering submissions, or giving oral evidence, at all previous enquiries, including the Tasmanian enquiry. Boys were housed at Maylands until the age of six, when they were transferred to the near-by Barrington Boys’ Home. Many of the Maylands girls had brothers at Barrington. Barrington Boys’ Home, which also was run by the Salvation Army, and had opened in New Town in 1946. Some of the boys had committed an offence. The rest were either wards of state or admitted by their relatives. 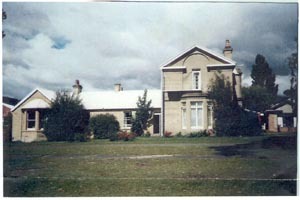 The Home closed in 1981. Abuses of all types are recorded from Barrington. An article from the “Hobart Mercury” newspaper from 1953 gives some insights into how the children at the three Homes were used. 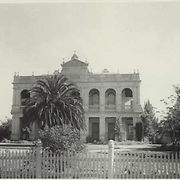 A concert to raise funds was held at the Hobart town hall, with all tickets being sold by the children. This is not far removed from begging. Another notorious Home was the William Booth Girls’ Home (also known as the East Camberwell Girls’ Home), which operated from 1912 until 1972 and held girls from the age of four to 14. 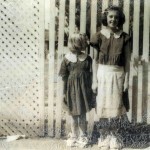 When it closed, the girls were transferred to the Salvation Army’s Catherine Booth Girls’ Home (also known as the East Kew Girls’ Home). If the Camberwell girls thought they were going to be treated any better at the East Kew Home, they were sadly mistaken. A common complaint from women who were in Salvation Army Children’s Homes was the damage done to their knees from having to scrub floors on their hands and knees, (even when pregnant at one of the maternity Homes). Medical treatment was non-existent, and there are many accounts of life-long problems with knees, for which they have never been compensated by the Salvation Army. Another Salvation Army Girls’ Home where similar things happened, but which is not being investigated by the royal commission hearings, is James Horton Memorial Home for Girls, which opened in 1942 and closed in 1985. It was located at 2 Curtis Street, The Range, Toowoomba in Queensland (see photo below). This, in a nut shell, will form the main thrust of the Salvation Army’s lawyers’ defence at the up-coming hearings. In relation to the two Queensland State Boys’ Homes to be covered at the hearings later this month, Riverview Training Farm” and “Alkira”, it should be noted that a State law, dating back to 1936, specifically limited corporal punishment to three strokes of the cane on each hand, at a maximum, for severe misbehaviour. Evidence will shown this law was always broken. Even the World Head of the Salvation Army, Bramwell Booth, a century ago issued edicts on how the children should be treated. As reported before, one of these edicts was that children were to be known by their names, and not by numbers. Another edict was that corporal punishment was only to be meted out by the head of the Home. Evidence will show that both of Booth’s edicts were always ignored. At both Riverview and Alkira, misdemeanours were routinely physically punished, and this was known by Queensland State government officials. It contravened Regulation 24 of the State Children Act, but the government took no action to stop such punishments. At one stage, State social workers threatened a strike over the issue. At a meeting with Jewish community members, Chief Commissioner, Peter McClellan, informed them that “private hearings could be held for people with information who did NOT want to give evidence at a public hearing, and that such information would NOT be used as evidence or the foundation for any finding.” (Emphasis added). Muscat further said that royal commissions “are powerful fact-finding machines, not platforms for the ‘voices’ of some participants.” This is precisely where the author ran into problems eventuating in being refused permission to be heard. This entry was posted in Uncategorized and tagged Alkira Boys’ Home, Australian Royal Commission into Institutional Responses to Child Sexual Abuse, Barrington Boys’ Home, Camberwell Girls’ Home, Catherine Booth Girls’ Home, East Kew Girls’ Home, Indooroopilly Boys’ Home, James Condon, James Horton Memorial Home for Girls, John Muscat, Lewin Blazevich, Lewis Blayse, Maylands Girls’ Home, Peter McClellan, Quadrant Magazine, Riverview Boys’ Home, Royal Commission into Institutional Responses to Child Sexual Abuse, Salvation Army, Salvos, The Listen to the Children Report, Toowoomba Girls’ Home. Bookmark the permalink.